Giving gratitude and thinking well. A yogic-minded lifestyle for children. This company started with a little boy’s illustrations and his dream to make a difference in the world. His compassion inspired us to want to share his character, Wuf Shanti, with children across the planet, in the hopes of guiding them down a path of peace and positivity. 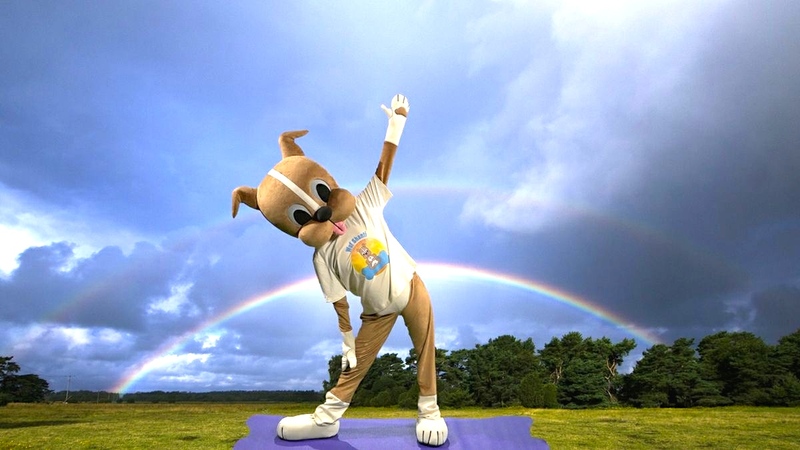 Wuf Shanti is an adorable dog yoga character that travels the world and shares with children through yoga, meditation, mindfulness, fun, and great music, how to live mindfully, think like a yogi, look on the bright side of life, be inclusive and kind to others, and live in gratitude. If we can teach children when they are young more productive ways of dealing with their emotions, then they will grow up to be more empathetic, less depressed and anxious teenagers, and more content, happier peace-loving adults. Wuf Shanti promotes health, wellness, and happiness in children, and encourages peace and positivity. Yoga is often considered in the west to be simply a physical activity to increase flexibility, and although that is a beautiful and necessary element of the practice, it runs so much deeper than that. The true practice of Yoga is bringing it off of the mat and into the world. Thinking like a yogi is an integral part of living in health and happiness. Science has shown that positive thinking, yoga, and mediation help the healing process. 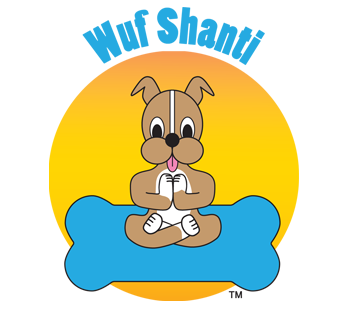 The first book, My Grand-Dog was a Yoga Instructor, evolved into a real mascot touring children’s hospitals and schools, as well as videos, a mobile app, and more books. 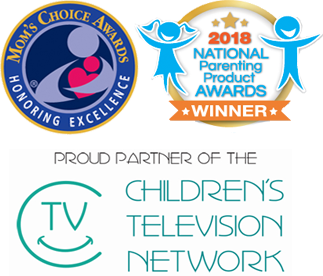 We are so grateful that the Children’s Television Network is distributing the Wuf Shanti videos to their children’s hospitals across the nation and internationally, which will allow us to help kids smile and heal, and also that local PBS stations have picked up the videos as well, which will allow us to reach many millions of children, and help make a difference in the world. Statistics show a significant increase in childhood anger, depression, anxiety, illness, isolation, suicide, and homicide. We believe it is so important to reach as many children as possible (and their parents, educators, healthcare practitioners, etc.) to help them develop a yogic-minded automatic response to illness and stress, cope with emotions and trauma, and stem the tide of negativity and violence. If you would like to incorporate our “Coping with Stress” curriculum in your schools or hospitals, please let us know. Wuf Shanti’s creator is [now] a 14 year-old boy that believes in peace, love, kindness, gratitude, and thinking well. This character loves all children, regardless of where they are from, what nationality or religion or race they are, and promotes peace and love. We are passionate about our belief that the world will be a brighter place if we can teach children to Think Well to Be Well. We have partnered with schools and hospitals because it is very important to us to help children live a healthier, mindful life, and help heal the world, one child at a time. Our live mascot visits children hospitals, nursing homes, schools, yoga studios, festivals, and charitable organizations. In addition to this website, we also have Facebook, Instagram, and Twitter pages, which we invite you to follow, a YouTube channel we invite you to subscribe to (for free), books, coloring books, t-shirts, stuffed animals, yoga mats, and a free mindful mobile app. We believe in giving back to the community, so a portion of our proceeds go toward charities that support children, animals, the environment, and the planet as a whole. Adam also conducts his “Partners for Peace” interviews with pioneers in the Yoga, meditation, and mindfulness communities, which you can listen to or read on this website in the “Interviews” section, was a speaker at the 2018 Mindfulness in Education Summit, founded the Kids Association for Mindfulness in Education, and is hosting the 2019 international Mindful Kids Peace Summit. The teen curriculum includes the Mindful Kids Peace Summit (a 5 day program for teens with subject matter experts & celebrities talking re: communication, diversity, inclusion, anti-bullying, kindness, mindfulness tools, positive psychology, social emotional learning, etc). Adam is a teenager now, so it only makes sense that Wuf Shanti has developed a teen curriculum (minus the 🐶). Thank you for joining us on this journey of giving gratitude and thinking well, and sharing this yogic-minded lifestyle for children. To teach the next generation how to have a yogic-mindset, cope with their emotions in a healthy way, think positively, appreciate what is good, and spread love and peace. Positivity: A world in which children are encouraged at a young age to Think Well so that they grow up to be positive well-adjusted adults. Promoting Health, Wellness, and Happiness, and Encouraging Peace and Positivity: We strive to share educational entertainment so that children can have fun while learning about yoga, meditation, and positive thinking. (3) To reach the kids when they are young in an effort to heal our planet. “Think Well to Be Well”, the positive thinking mantra, “Smile and the World Will Smile With You”, the kindness mantra, and “Smile and Say Thank You”, the gratitude mantra. 5. We are touring Children’s Hospitals across the country. If you are affiliated with a children’s hospital that you would like for us to visit, please contact us at [email protected]. 6. Our free mindful Mobile App, Wuf Shanti’s Yoga Fun Machine, which has videos, music, and games, is available for Apple and Android devices and can be downloaded now. 7. We have 7 books (6 fiction and 1 non-fiction). Our new coffee table style book for kids, Living in Light with Wuf Shanti: a Yogic-minded Lifestyle for Children, complete with gorgeous full-page pictures of Wuf Shanti doing poses in different countries, descriptions for how to do each pose and meditation, and the health benefits of each, is now available for purchase. The physical Yoga poses, meditations, and/or mindfulness games can be practiced in schools as part of the curriculum, and with parents at home. This book is a great way for kids and their grown-ups to practice daily mindfulness, meditation, and yoga together. 8. Adam Levine of Maroon 5 posted about us on his FB page. 9. Adam also conducts his “Partners for Peace” interviews with pioneers in the Yoga, meditation, and mindfulness communities, which you can listen to or read on this website in the “Interviews” section, was a speaker at the 2018 Mindfulness in Education Summit, founded the Kids Association for Mindfulness in Education, and founded and is hosting the 2019 international Mindful Kids Peace Summit. We have more than 100K followers on FB. Thank you! Please join us by following us on social media, subscribing to our YouTube channel, and spreading the word.